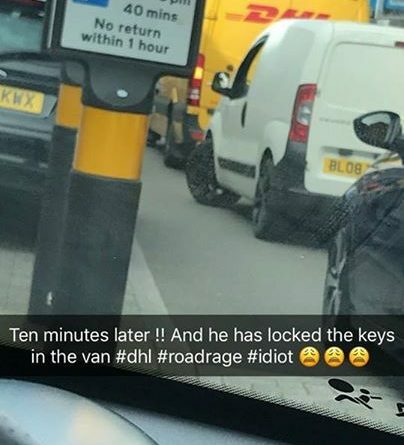 DHL Driver Locks Keys in Van. DHL Driver Locks Keys in Van. Traffic chaos as badly parked courier locks keys in van and blocks up Oakengates!